Three stories above midtown Manhattan, some fifty current M&Ts and upward of thirty alumni convened to discuss college, work, and all the parts of life that happen in between at the annual NYC Student-Alumni Reception organized by the M&T Student Board. As M&Ts, we’re comfortable straddling dualities: two schools, two disciplines, two cultures. And the night was certainly filled with those “traditional” dualities, as many conversations concerned tech versus finance, or corporate settings versus start-ups. But the conversational role that the alumni took on that night also proved to be dual, in a much different sense. First, the alumni provided great technical advice about academics and the workforce alike—providing excellent advice about which classes to take, which clubs they enjoyed, how they navigated the early years of their careers, and what they enjoy about their respective fields. Name an innovative way to synthesize business and engineering, and you could find an alum eager to describe his or her experience exploring it, whether in a college course about robotics or in a management consulting role. Second, and perhaps more impactful, the alumni warmly approached the current students as slightly less experienced versions of themselves, and, from this role, were able to impart tremendous wisdom about how they’ve learned from their mistakes and successes, what they wished they’d done in college what they hadn’t, and how they approach risk-taking and uncertainty in the workforce. One alum pointed out that, if you’re passionate about start-ups, it becomes increasingly difficult to develop an idea if you get further into a corporate career. Start young, he urged, and devote yourself fully rather than spreading yourself thin. Another alum—who has been in M&A for several years—described the difference that corporate culture makes when choosing among job offers. Yet a third explained, perhaps hyperbolically, that it’s always better to hang out with friends than to study. Overall, the night was both informative and inspiring. That we could begin to forge real relationships with the alumni—to both professional and personal ends—over the course of a mere three hours reflects just how invested M&Ts are in their community and how incredibly tight-knit the network is. Oh, and the charcuterie wasn’t half bad either. 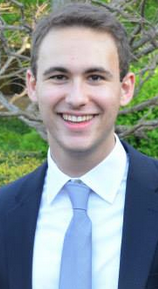 Joe, from Highland Park, Illinois, is a member of the M&T Class of 2018. He studies Systems Science within Penn Engineering and has yet to declare his concentration in the Wharton School.